I was recently invited to review a new book about hair by Susan Vincent. Hair: An Illustrated History (Bloomsbury Visual Arts 2018) is lavishly illustrated and well researched. 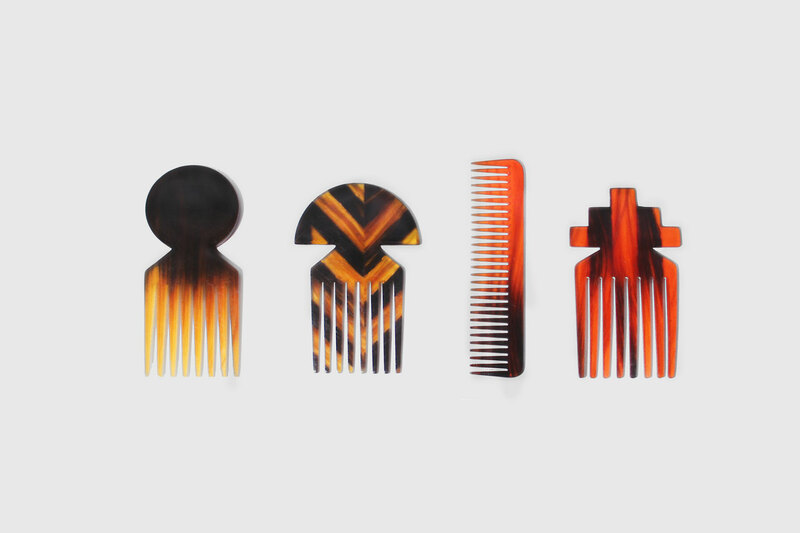 Susan Vincent focuses on how, over the past 500 years, hair practices have participated in the creation of social identities and fashionable ideals for both men and women. The book appears at a time when there is a growing body of scholarship on a variety of hairy topics. Since many books on hair are compendiums of essays, Vincent’s book stands out. The introduction begins by looking at how visual codes of hair color, texture, and style have been used to judge character, personality, health, and overall acceptability. Following an enjoyable introduction, Vincent delves into the themes of the book and does a fine job of maintaining a lively tone throughout. 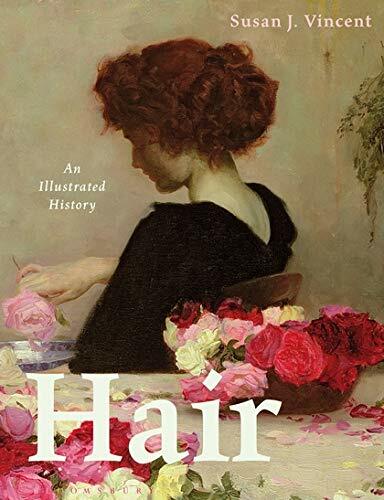 While the author states clearly that her book centers on “the key ways that [hair] has been managed over the last five hundred years,” its research is mostly limited to those of European descent. To read my full review, please visit Fashion Historia. Left: Advertisement for Edwards’ Harlene, c.1890s. 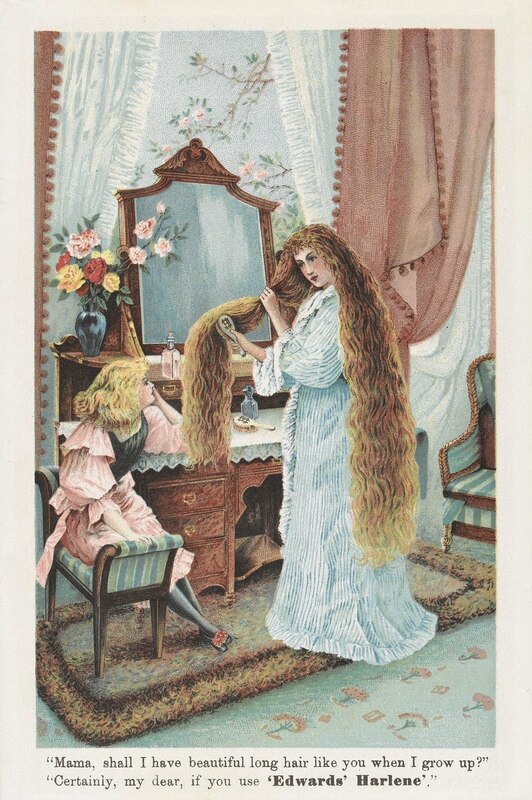 ‘Mama, shall I have beautiful long hair like you when I grow up?’ asks the girl, as she learns the lesson in the performance of femininity while watching her mother wield a hairbrush. Welcome Library, EPH154:20. Photo: Courtesy of the Wellcome Library, London. 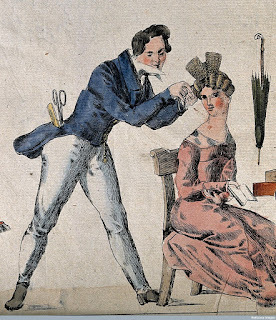 Right: An early nineteenth-century male hairdresser attending a woman. Comb and scissors, the tools of his trade, are to hand in his coat pocket. The high points of his starched shirt, the seals hanging from his waist, and his fitted pantaloons, fixed with a strap beneath the instep, show him to be a modish fellow who pursues the latest fashions. Colored engraving, no date (early nineteenth century). Wellcome Library, ICV2046L. Photo: Courtesy of the Wellcome Library, London. 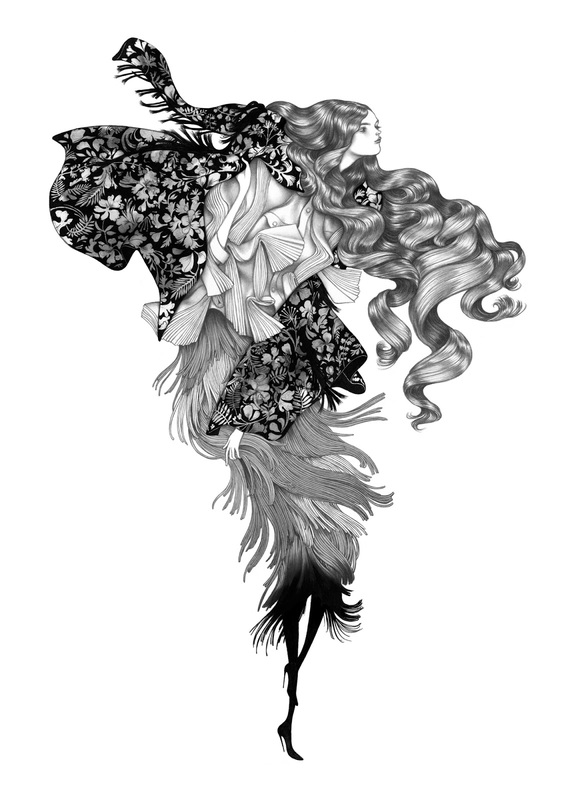 Laura Laine is a Finnish fashion illustrator who has worked with ShowStudio, Vogue Japan, Vogue Germany, Pantene, Zara, and H&M. 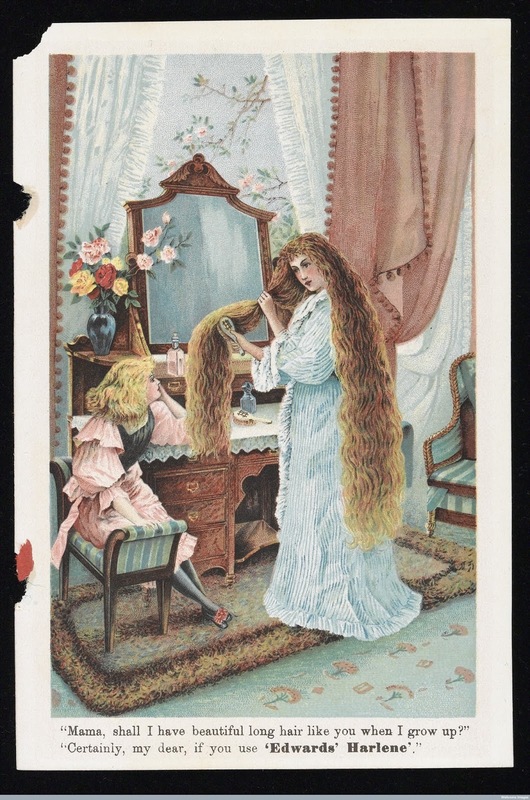 She frequently illustrates women with prominent strands of long hair. 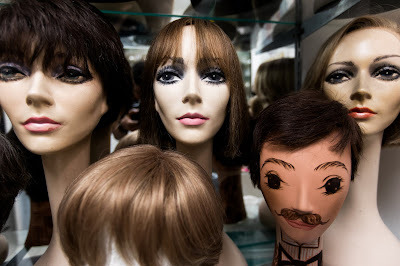 Her interest in hair, however, derives little from realistic hairstyles. 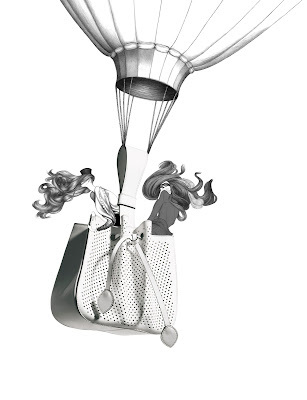 As Laine explains in a recent interview with Buro247, her intention is to use hair “as this voluminous element in the composition." 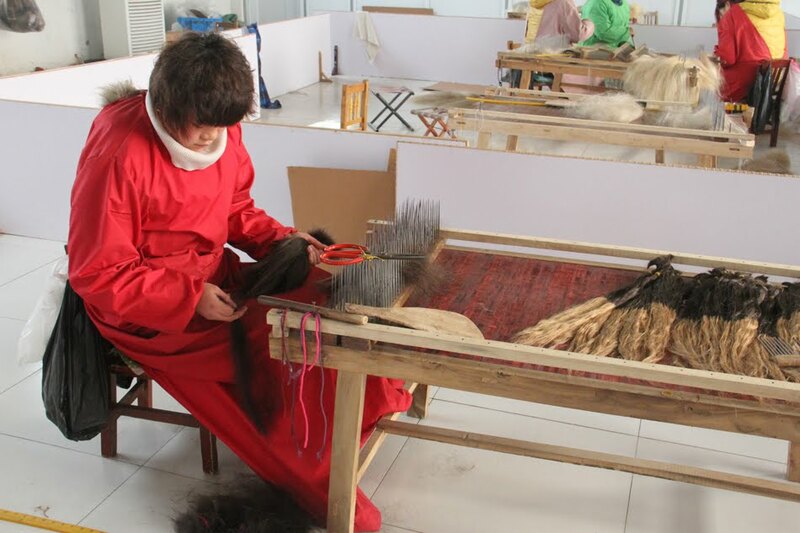 It weaves into the clothing, billows around the head, and moves in engaging ways around the body. See for yourself. This Rodarte SS16 illustration was part of ShowStudio’s 2015 A Beautiful Darkness exhibition. 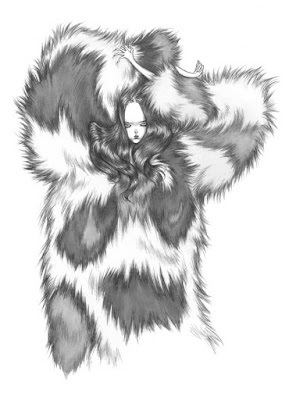 This specially commissioned illustration, called It's Only a Game, was created for ShowStudio’s 2011 Illustrating McQueen project. It paid homage to a selection of fashion designer Alexander McQueen's most pivotal designs. 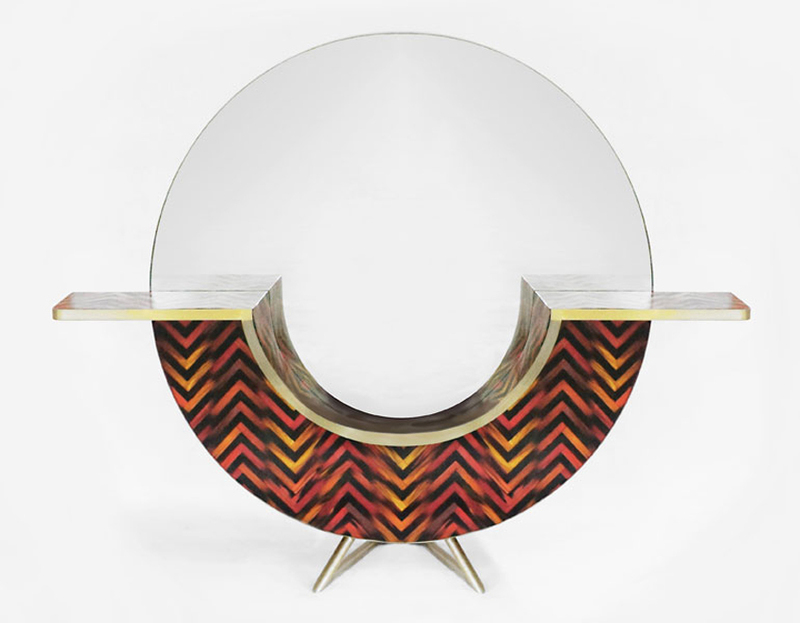 The sinuous and effusive strands lead one to associate Laine’s work with whimsy and delight. But the distorted and twisted lines also have a darkness that are reminiscent of Aubrey Beardsley and Harry Clarke. 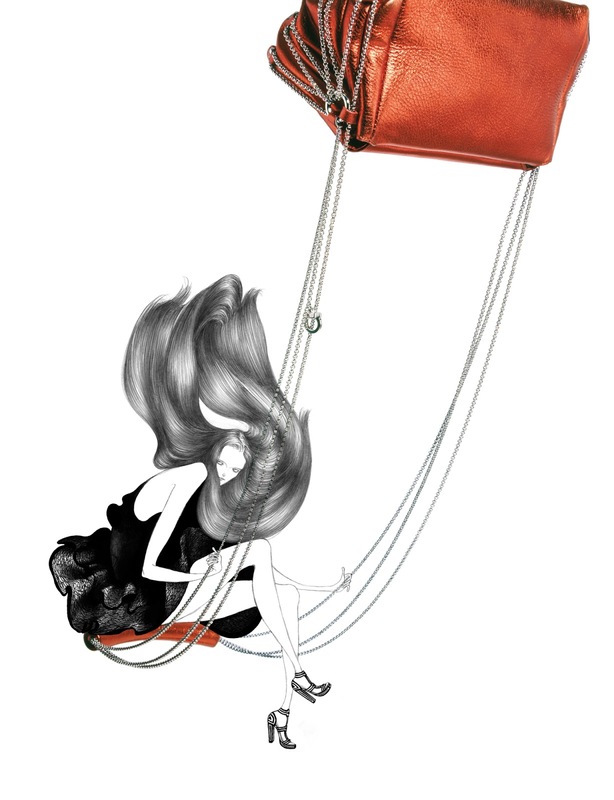 The long hair donning the women in Laine's illustrations is not just a compositional and stylistic device; it is a signature element of her work. Both illustrations are from an editorial for Muse Mag circa 2011. 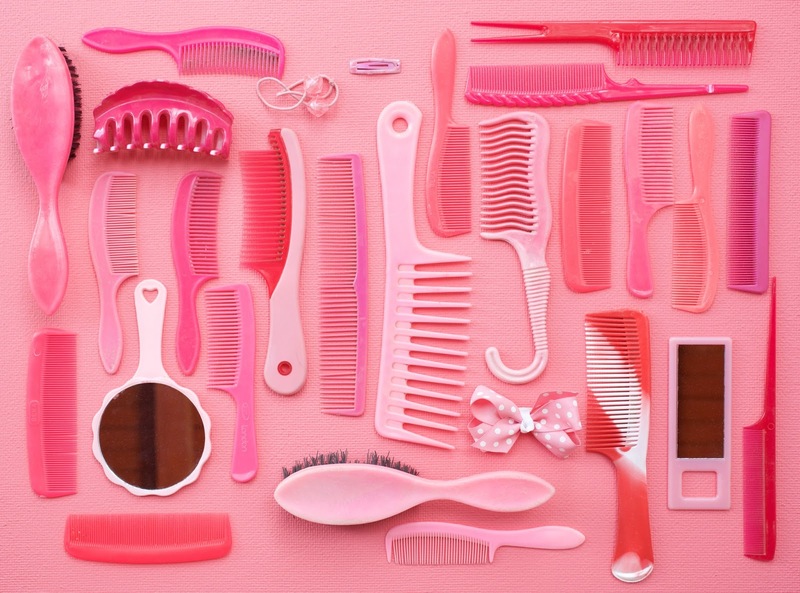 In 2014, the art collective Studio Swine (Azusa Murakami and Alexander Groves) created a project called Hair Highway. 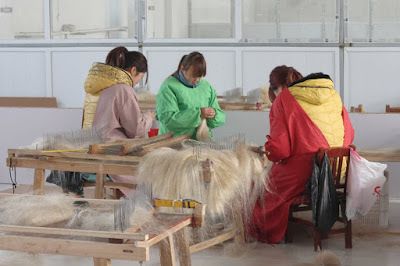 The project documented the billion-dollar hair market in Shangdon province of China using video to show the assemblage and processing of hair for the global market. 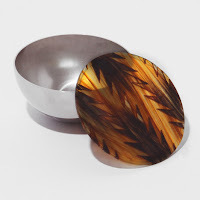 Studio Swine then used hair from that system to create a collection of polished, resin-based luxury design objects. These included vessels, decorative boxes, combs, and furniture. 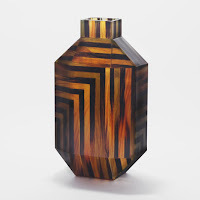 To create these items, strands of hair were laid in a thin layer and colored pine resin was poured over them. 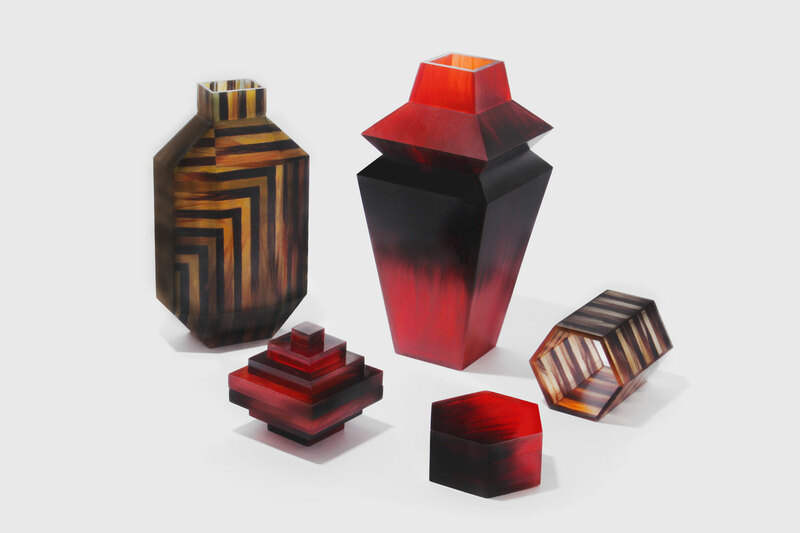 When the resin hardened, carpenters cut the material into sections and glue the colored pieces back together to fashion the items. "Hair is one natural resource that is actually increasing globally," Groves said. 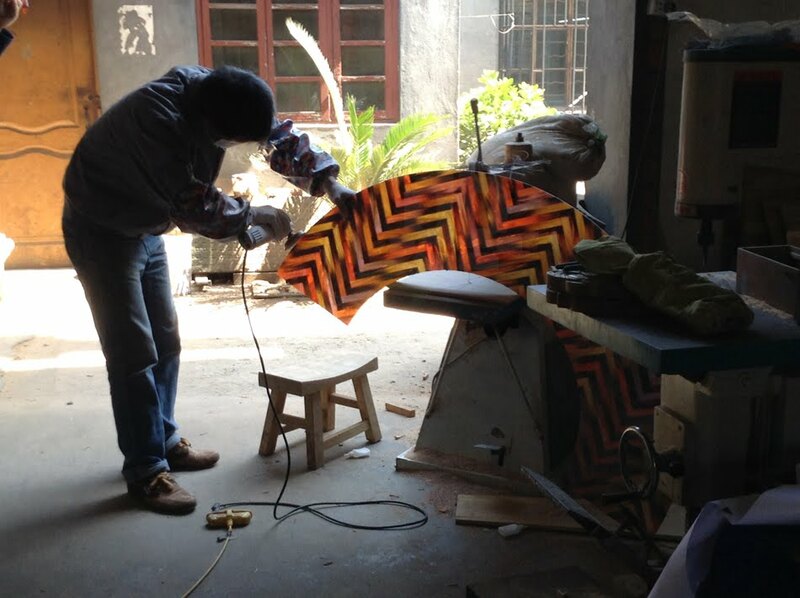 "We knew that China imported the most amount of tropical hardwood from slow-growth forests across Africa, and we wanted to explore the possibility of using Chinese traditional crafts with a sustainable material." On Studio Swine’s website, the intention for Hair Highway is made explicit. “Hair Highway explores the potential of human hair beyond its wildly expanding role in the beauty industry. As the world’s population increases, human hair is re-imagined as an abundant and renewable alternative to diminishing resources such as tortoise shell or tropical wood. Employing hair for design work is not new, with one famous example being its use by Victorians to craft items as mourning jewelry and sentimental wreathes. However, given the problems of hair collection in countries like India (1), this project feels a bit naïve in its straight celebration of the hair trade. That being said, the resin hair objects are quite beautiful and certainly evoke the aesthetics of the Deco-era. Is it possible that if the atrocities conducted during the process of hair collection are resolved it could be used as a regenerative and ecologically sustainable material in this age of diminishing natural resources? or see “Hair, Devotion and Trade in India,” by Eiluned Edwards in Hair: Styling, Culture and Fashion edited by Geraldine Biddle-Perry and Sarh Cheang, p159. Images are from Swine Studio website as well as from Design Boom article. So many of us have been touched by the plight of mothers and fathers being separated from their children after coming to the United States seeking asylum. In New York, one story stands out. A Guatemalan woman named Yeni Gonzalez was detained in Arizona, but her children were being held in New York. Her bond was raised by a GoFundMe campaign, and her travel across the country to be reunited with her children was facilitated by a relay of cars taking her leg-by-leg over 2000 miles.“The day Ms. González was released, the women braided her hair and, defying orders not to touch or embrace, they lined up to hug her goodbye.” The organizer of the GoFundMe page told reporters that more than anything, Gonzalez can't wait to comb her little girl's hair. 1. The full story of her journey is recounted in this New York Times story. In 2016 the 11th U.S. Circuit Court of Appeals ruled that it was not discriminatory to make hiring and firing decisions based on whether someone has dreadlocks. 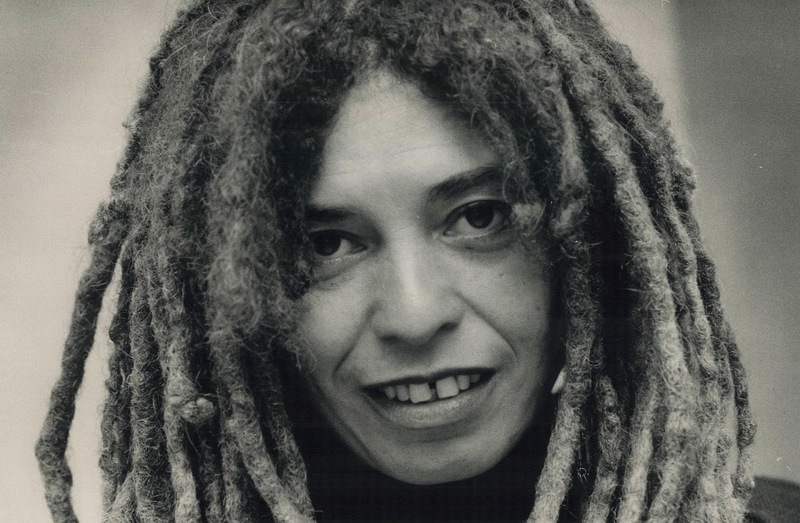 The suit, brought by the Equal Employment Opportunity Commission against Catastrophe Management Solutions, argued that dreadlocks are a “racial characteristic” and that using them to deny the hiring of someone is inherently discriminatory and a violation of the Civil Rights Act of 1964’s Title VII. 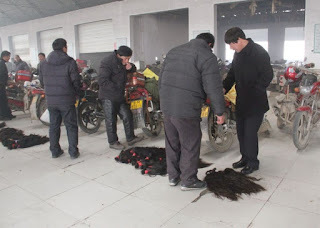 The court of appeals ruled that hair is not an “immutable physical characteristic,” that a person’s appearance is, in this respect, changeable and therefore not protected. I suppose this is true, seeing as today all sorts of folks can don a head of locs regardless of race or ethnicity. 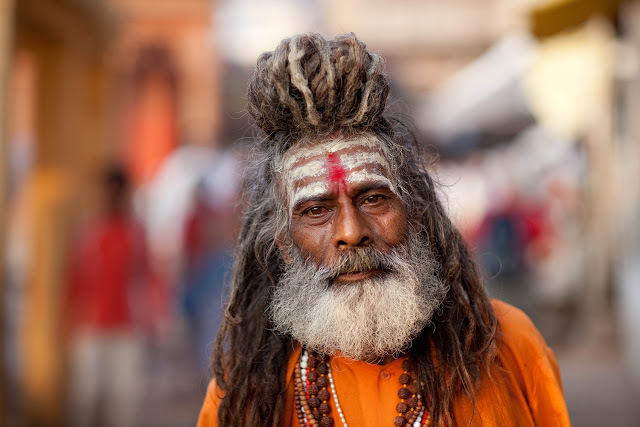 Matted hair is a feature of Hindu sadhus and also familiarly associated with Rastafari, who adopted the style in the 1950s as an authentic expression of their faith and to reinforce their non-conformist ideology.1. For the Rastafari, dredslocs were potent symbol of both one’s spiritual commitment and cultural resistance.2. During the 1980s a number of prominent African Americans (such as Basquiat, Tracy Chapman, Angela Davis, Whoopi Goldberg, and Alice Walker) brought attention to the style, contributing to its adoption by the mainstream. There was pushback at the time to this “Americanization of dredlocs,” notably in a 1991 Essence editorial entitled “The Dreaded Decision” by Naadu Balnkson. Did the fashionability of dreds come at the expense of their religious and cultural significance? 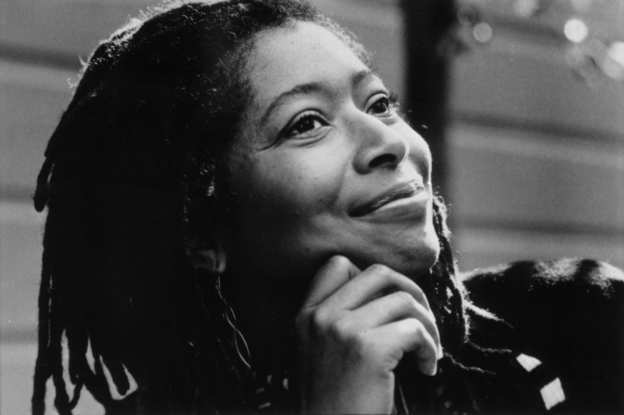 Criticism was leveled at black Americans for secularizing a religious practice, and at those outside the African American community for cultural appropriation.3. This 2016 court decision shows that regardless of whether dredlocs are considered ‘mainstream’ or not, they continue to be used as an excuse to discriminate, harass, intimidate, and oppress. Afro hair has historically been demeaned -- an affront to white American culture. Laws against the public expression of natural, Afro hairstyles go back at least as far as the late 1700s in New Orleans, when women of African and multiracial heritage were banned from wearing their natural hair in public by Tignon laws.4. 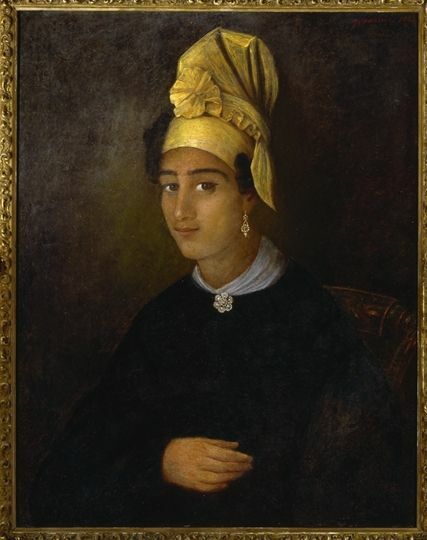 These sumptuary laws required Creole women to wear a headcovering (a tignon) and were implemented to curtail the growing influence of the free black population.5. Such legislation and work/school policies shame and degrade women for their hair. This institutional racism can lead to internalized racism, whereby women are made to feel their Afro hair is unkempt or unattractive. 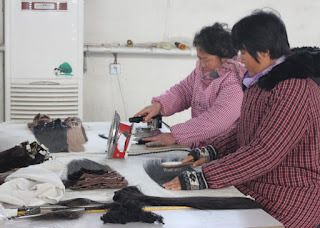 In order to conform to Western hair ideals and white standards of beauty, these women endure chemical straighteners or expensive weaves or extensions. Female soldiers may wear dreadlocks/locks in accordance with the guidance in paragraph 3-2a(3)(f) for braids, cornrows, and twists. Even when she worked to stay within the regulations, there was constant scrutiny by higher-ups, she said, adding that black women felt as if they were “walking targets” because the regulations were subject to interpretation. But, without a doubt, written and unwritten rules about “grooming” and “dress codes” serve as means to discriminate and devalue Blackness. 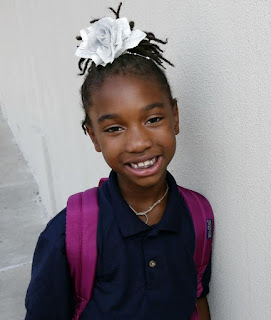 These rules have allowed schools, corporations, and even the United States military to distort social norms and limit the beauty of Blackness by condemning hairstyles such as cornrows, braids, twists, and dreadlocks. Hair “not only symbolizes the self but, in a very real sense, it is the self since it grows from and is part of the physical human body.”6. 3. 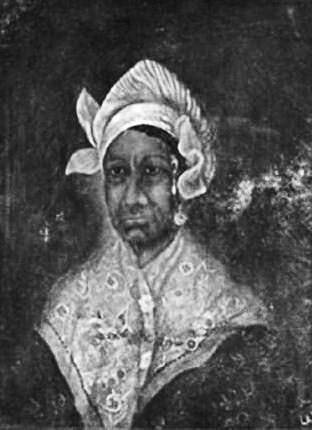 Ayana D. Byrd and Lori L. Tharps, Hair Story: Untangling the Roots of Black Hair in America, St. Martin’s Griffin, 2014, page 123. 4. 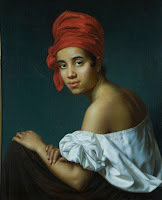 The word tignon, pronounced tiyon, was a regional term in New Orleans for headscarf. 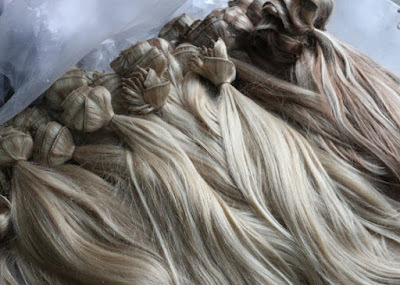 It derived from the French word chignon which, in the late 18th century, referred to a hairstyle where the hair was pulled back in twists or knots. 6. Anthony Synnott, ‘Shame and Glory: A Sociology of Hair,’ British Journal of Sociology, 38 (3), p404.